Tune in today 3-5PM! 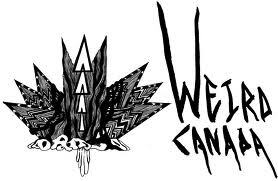 Malcolm Fraser, this month’s host of the Montreal Sessions, will feature a discussion with Wyrd Canada contributors on their recent grant aquisition. This is very exciting news for Canada’s underground music scene as it will undoubtedly provide more accessibility, dissemination, and support for Canadian artists! This entry was posted in CKUT programming on April 9, 2013 by Bryce.